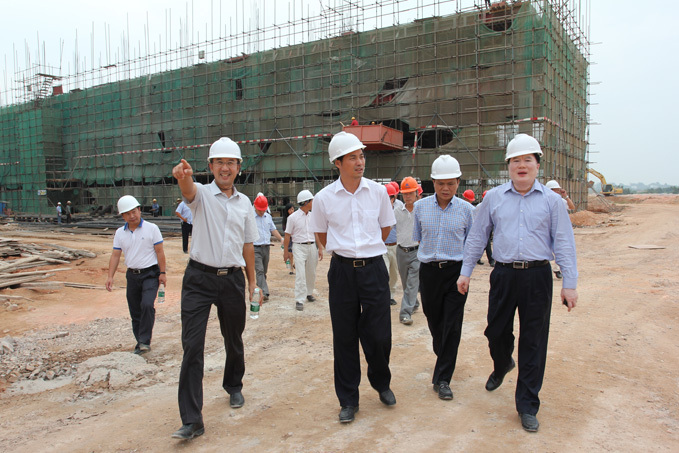 The deputy secretary of huizhou high-tech zone and director of management committee Yang Pengfei, accompanied by KTC’s president, Lin Bin, led the principal of district party committee office and government office, district science and technology innovation bureau, economic development board, planning and construction bureau, land and resources bureau, environmental protection and Zhongkai enforcement team to visit construction site of KTC late-model flat panel display project which is located in Huinan High-tech industrial park. The late-model flat panel display project has gained importance from leaders from Zhongkai high-tech zone since it started. 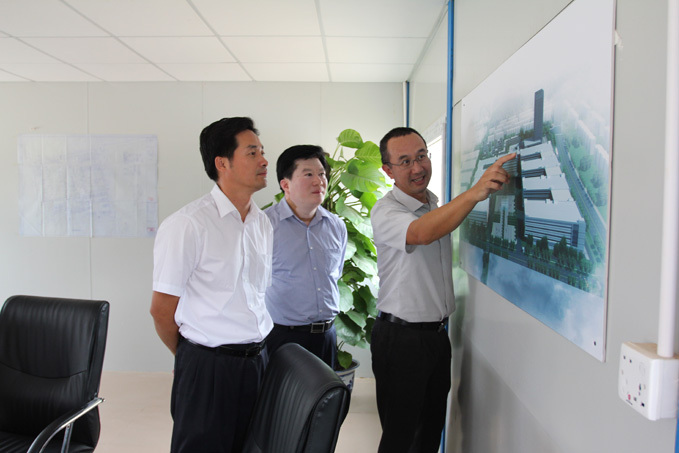 In this survey, director Yang Pengfei and other leaders listened to the relevent situation and at the same time, convened an on-site office to inquire difficulties and problems during the progress and had a further understanding of implementation scheduling, commissioning date and project benefit after going into production. Director Yang Pengfei gave a full approval to the progress. In the meanwhile, encouraged us to quicken the construction of project and go into production as soon as possible. The responsible person of KTC, who participated in meeting, said KTC will implement the requirements of district fully and make great efforts to the construction of the project to meet the need of development strategy. We will ensure the project complete as soon as possible and infuse a powerful impetus to make sure economic develop stable and quickly. It is estimated that the project will go into production in Oct 2013. At that time, the production capacity and comprehensive strength of KTC will be enhanced greatly. Thereby, lay a solid foundation for future quick development.